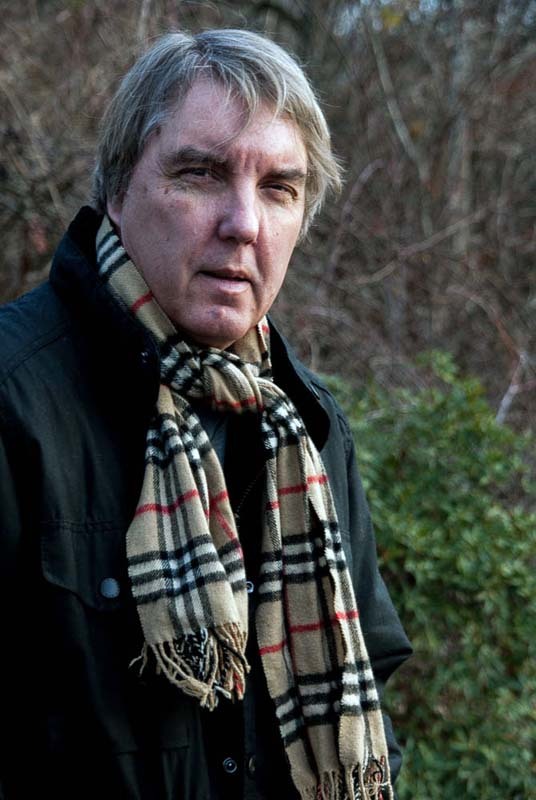 John Katzenbach on writing suspense: Who do you kill? Where do you put the bodies? Who are you as a writer? 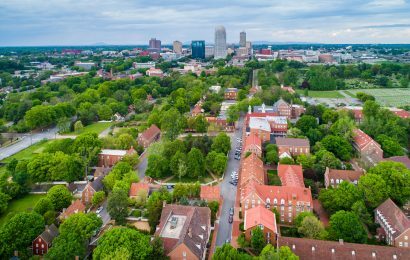 Editor’s note: The provenance of the following piece goes back to the fall, and the Boston Book Festival and a chance meeting with the popular best-selling author John Katzenbach. We both attended a launch party at a bar, and the conversation turned to craft. He’s a writer. I’m an editor. What more is there to say? 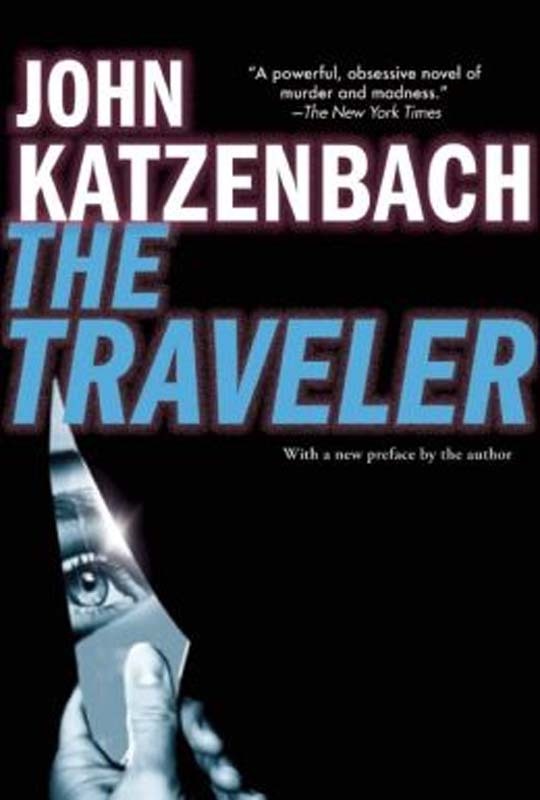 A few days later, Katzenbach emailed me to say Grove/Mysterious Press would be reprinting his 1987 best-seller The Traveler at the end of the year – “nothing like a serial killer novel for the holiday season,” he wrote ­– and he had crafted a new preface to accompany the release. Turns out, the preface is an essay of sorts on writing suspense. Who do you kill? Where do you put the bodies? 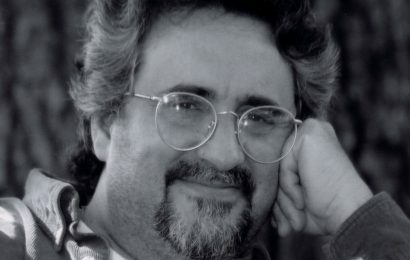 Who are you as a writer? A sociopath? A cold-hearted murderer? A ruthless savage? I enjoyed reading this preface immensely and asked Katzenbach if we could run it as a companion piece to Roy Peter Clark’s guide to writing eulogies. It’s not that we’re tracking a death theme, but it’s the dead of winter, and that was close enough thematically for us. Two lessons: Always chat with writers at book festivals and conferences. And watch your back because some of those writers are killers. I had previously been unaware that such a category existed. 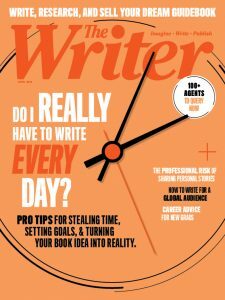 Now, while it is generally a fine thing to be in the “vanguard” of just about anything – the word has an undeniably catchy forward-thinking and progressive-positive ring to it – this particular subsection of the writing world is problematic because of the window it opens into the imaginations of both writers and killers. We share unfortunate traits: We can be impulsive and often cold-hearted. We can act with sudden savagery or black-souled design. We don’t consider all this carnage with dismay. After all, who has more blood on their hands – or, to be more accurate, dripping from the fingertips we use to strike a keyboard – than writers with deep affection for the dark side of human nature? In the course of my career, I have outdone most contract killers, mob enforcers and assorted other psychopaths. I rival Marine Corps snipers and angry drug kingpins. I have killed young people, old people, good guys and bad guys, innocents and the guilt-ridden. I have been psychotic and sociopathic. I have used various caliber guns, rifles, knives, automobiles, drugs and even some unique poison concoctions to do away with a wide selection of folks, and I haven’t looked back with much guilt at many of the bodies I’ve left in my wake. Many – but not all. Yes. That’s how it has to be. Some of the people I’ve done in undeniably take a slice of me with them. They may be killers. They may be cruel. But I can see little parts of my own imagination in their blood, even as it spills onto the page. I know I will genuinely miss the company they provide. That said, there are more than a few literary homicides I perform with nary an emotional twitch on my part – other than the happy recognition that they are giving up their fictional lives on my behalf, and to help me create the atmosphere of tension on the pages that I believe is necessary not just for a “psychological thriller” but crucial for any successful novel. And, in some sort of misguided journalistic responsibility for full disclosure, let me point out that I have also on a couple of occasions killed some household pets to increase this tension. Killing cats does not trouble me – a deep-seated flaw I’m forced to concede – but doing in a dog, especially a loyal, tail-wagging, slobbering and overwhelmingly friendly beast, causes me to have some sleepless nights. Here’s the odd thing: The Traveler was my second novel. When one sits down to write his second, there are some nervous perceptions that become instantly clear, not the least of which is that a first novel is usually a personal story, stolen from a place near the heart and filled with recognizable history from one’s own past. The next time out is significantly different. The stakes are considerably higher, because now one is trying to discover whether one is really capable of being a storyteller. Plots, twists, the psychological underpinnings of the characters – all are substantially harder in that second effort, because the richness of the tale ought to be far more sophisticated. The second novel is about invention. When I wrote the opening line – She dreamt uneasily – I did not think I was writing a novel about a serial killer, nor did I expect to be in the vanguard of anything. What I thought was that I was sitting down to construct a story about damage. Not the sort of twisted metal and charred debris one sees after a particularly horrific car wreck pushed to the side of an eight-lane highway so that others can gawk and stare as they resume their trip, but the psychological equivalent of the same. The novel I imagined was based extraordinarily loosely on the misadventures of a real killer, and the lucky happenstance when I read that he had a brother who loved him. Those were the only “real” details I needed. The fictional territory I wanted to travel in the book was defined less by gunfire and blood than it was by emotions, even if gunfire and blood were a constant backdrop. I became inordinately fond of my character Douglas Jeffers – the traveler of the title. Every small action he performs, regardless of the depravity encapsulated within it, echoed some darkness that I believed familiar. The optimist would say, Well, that’s the inevitable result of staying up past midnight as a young man, reading Dostoevsky and Dickens, devouring John Fowles and John le Carré and all those others. But the nighttime voice that most novelists know all too well might also ask, Why were you so intrigued by the sides of human nature that make us uncomfortable? Why did you want to explore those circles of Hell? To this day, I’m unsure. And my uncertainty was buttressed by an unfortunate reality: On more than one occasion, a copy of The Traveler was uncovered by police authorities in the possession of actual serial killers, dog-eared and underlined. This is a nasty detail that makes me pause. It seems to me that we blissfully live in a world that wanders from astonishment to surprise, as each new savagery is delivered to our reality. Terrible things exist for us around the corner, down the next block, across town, in a different part of the state, somewhere else in America, or around the world. Tsk-tsk. Did you see that story? My goodness. I don’t like the idea that I might inadvertently contribute to someone’s heartbreak anywhere. But then, nor do I fear this. We live in unsettled places, for better or for worse. Live happily, I might add. So does The Traveler. John Katzenbach on the art of the thriller. You’ve spent the better part of 25 years writing novels. What do you value most about living as a writer? 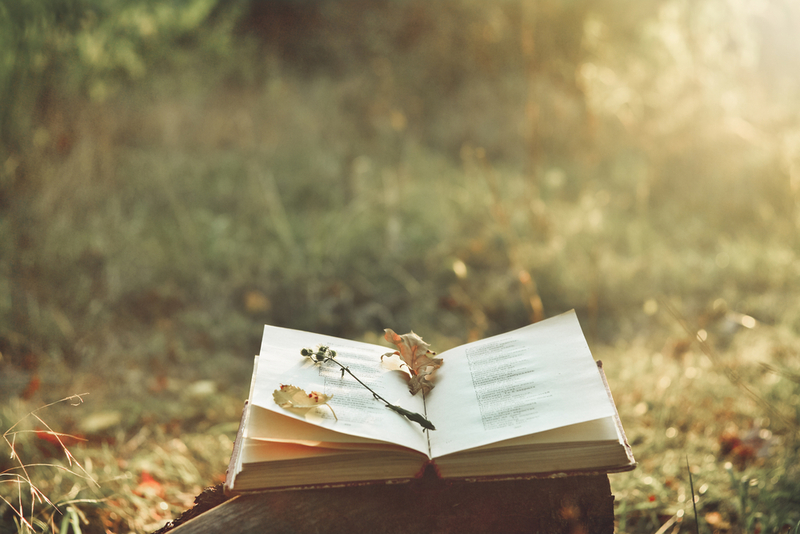 It doesn’t seem like 25 years – but I suppose that reflects at least some of the value of spending a life with words, characters and plots that twist and turn. It’s something of a cliché to say every day is different, but wrapped in that trite observation is more than a significant amount of undeniable truth. To successfully write – and not just the “psychological thrillers” that I favor but just about any old kind of fiction – one has to be able to create an inner landscape, where all the elements of the novel live a very real (if perhaps bordering on the hallucinatory) existence. But I suspect that ultimately what I value the most about living all this time as a fiction writer is the strangely skewed, eccentric way it allows me to look at the world around me. I think most people consider events. I see stories. People have conversations. I hear dialogue. People have experiences. I sense plot moments. This makes life consistently interesting, if slightly bizarre. Thriller-suspense is sometimes seen as a genre of distraction or escape for readers. What are your thoughts on that popular belief? All fiction should be an escape for readers, just as all fiction should contain the qualities of a “page-turner.” Parenthetically, I can’t imagine why anyone would write a novel that isn’t a “page-turner.” And what would that be, anyway? In truth, the question about thrillers is really: Do I think thriller-suspense novels are somehow a lesser form of literature because they are so popular? The answer is: Definitely no. Well, actually yes. Ah, maybe. Let me put it this way: Some of the greatest writing, greatest storytelling, most engaging fiction fits into the category of thriller-suspense. (The Odyssey, anyone?) That said, the marketplace sometimes demands what I consider airplane books – a novel designed to be read on a three-hour flight. Good guys, bad guys, a couple of fairly predictable plot twitches and a hero too clever by a half who overcomes any dicey obstacles placed in his way with aplomb and dexterity. Folks seem to like these books, even if they aren’t the most sophisticated of tales, and publishers like to print them, primarily because folks buy them. But – in defense of what was once a “penny dreadful” and now rings up $27 on the register – these sorts of stories give great satisfaction to readers, and that’s not an unimportant quality to explore. What is the ratio of writing to thinking in your novels? When and where do you do your best thinking? Lots and lots of thought is funneled into the creation of every novel, almost to the point where some MIT type would consider it planning. I spend hours imagining the intricacies of the dilemmas my characters face, and then more time envisioning what they should do. I think this is the best way (at least for me) of establishing a kind of psychological verisimilitude. I’ve always felt that it was important to get details right in a book, but even more important, to get emotions accurate. When a reader reaches some critical scene, the actions of all my characters have a psychological reasonableness, so that readers would say to themselves: Yes, that’s what I would do. This is equally true of a teenage female kidnap victim character as it is a sociopathic killer. I want readers to feel: Yup, if I were that demonic homicidal sort, that’s exactly how I would handle matters. Or something more or less like that. Where to think? Generally, I devote a good deal of time in front of the keyboard. That sort of goes without saying. But I also used to run six miles every day, and I would spend each step in a kind of reverie, planning scenes. Now I’m older, and instead of running, I sort of lurch and stumble about four-and-half miles with all the grace and athleticism of the proverbial drunken sailor. Still planning, however. The current likelihood of me being run over by happily texting teens in Mom’s Subaru while I’m contemplating plot twists? High. If someone wants to be a crime, thriller or suspense writer, what caution and encouragement can you offer? A small bit of advice to people who want to write suspense: It’s not about writing a police manual. Real suspense emerges when readers care about characters. The richest characters are those that are memorable not because they have artificial details imposed on them in an effort to make them “unique.” (The one-eyed, transgendered, leg amputee, former Delta Force operative, who can quote French Symbolist poetry and Bruce Springsteen lyrics while raising his murdered sister’s Goth teenagers.) Characters stay with readers because they can feel an emotional link. This isn’t necessarily familiarity as much as it is a commonality of understanding – which pricks curiosity and engagement. So, advice: Spend less time interviewing police detectives and more time examining how people react to stress. Once you – Mr. or Ms. Prospective Thriller Writer – grasp that, well, you’re good to go. What two qualities must a killer have? OK, I’m presuming you mean a literary killer. I would hate to shoot my mouth off, only to find an angry mob of paroled murderers and un-caught serial killers outside my door some morning, up in arms complaining that they don’t have the necessary qualities according to me. But in a book, the bad guy – who is in many regards the engine that drives the plot – should be psychologically accessible. In other words, even in his or her evil behavior, we need to recognize emotions and behaviors that make sense. The other important element is something more elusive: They have to be interesting. They can be ordinary, but even that ordinariness has to be intriguing. They can be eccentric, but that eccentricity needs to be compelling. Easy to say, hard to accomplish. Re-read The Silence of the Lambs and watch No Country for Old Men again. Three most thrilling stories ever? This is a tough question. A couple of books. Great Expectations and The Magus by a couple of Brits named Dickens and Fowles. Up all night with both. A film I truly admire: Philip Stozl’s The North Face (Nordwand in its native German). This movie is an incredible balance of love, danger, adventure, ambition, politics and hope and helplessness, set in 1936 in the most stunning visual backdrop of the most risky climb in the Alps. Oh, and a poem: Cuchulain’s Fight with the Sea by William Butler Yeats. Now, this verse is psychologically exciting and perfectly worded, which is what we’d expect from a poet of his stature. Art and excitement: What could be better? That was four, not three. But who’s counting? She could see a boat adrift, first in the distance, then suddenly closer until she realized that she was on the boat and surrounded by water. Her first thought was panic, to search about her and find someone to tell the important news that she was unable to swim. But each time she turned to look, her perch on the edge of the boat grew more precarious, and the wave action would sweep the small craft upward, balancing momentarily on wave edge, then falling away, sickeningly, bouncing her about, out of control. In her dream she looked for something solid to hold on to. As she seized the mast of the boat and clutched it with all the strength she could muster, an alarm went off, ringing, horrible, and she knew that it was the sound made when the boat sprung a leak and that she was moments from finding seawater lapping at her feet, tickling her with terror. The alarm continued to blare and she opened her mouth wide, ready to call or shout in fear for help, struggling as the boat rocked around her. In the dream the deck pitched abruptly and she cried out, as if to her sleeping self, Wake up! Wake up! Save yourself! She gasped wildly, spinning from sleep-state to wakefulness, sitting up suddenly in her bed, her right arm shooting out and seizing the bedstand, something solid amidst the vaporous fears of the dream. She realized then the telephone was ringing. She had not had time to assess the situation. She lived alone, without husband, without children, her own parents long since passed away, and so the idea that her telephone would ring in the midst of the night did not hold any particular terror for her, as it would have for so many people who are unaccustomed to late-night calls and who instantly would have foreseen the telephone ringing in the darkness for precisely what it was: terrible news. And, being a detective by trade, it was not unusual for her to be summoned at night, police work by necessity often taking place beyond banking hours. That was what she fully expected, that for some procedural reason her capabilities as a crime-scene technician were needed. “Merce, it’s Robert Wills in homicide, I . . .” He let his voice trail off. Detective Barren waited. The Traveler © 1987 by John Katzenbach; used with the permission of the publisher, Grove/Atlantic, Inc.